Here is a fondly remembered chapter from the nearly forgotten and criminally-uncollected Space Conquerors from Boy’s Life (March 1971). 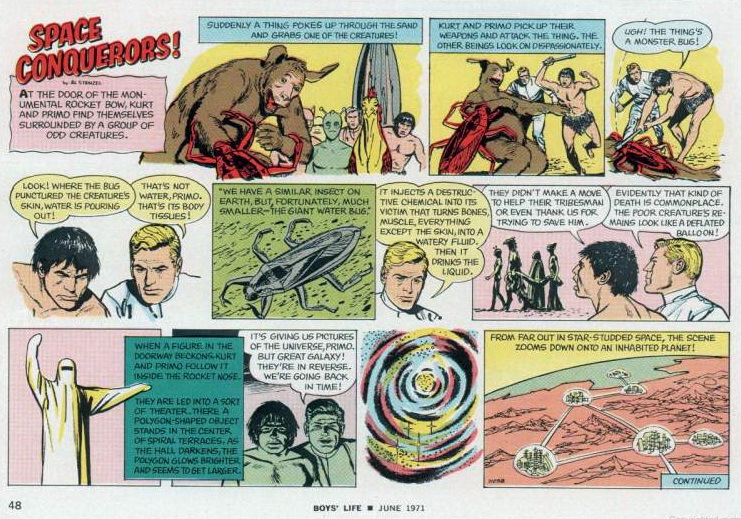 This was a long-running strip that changed in sophistication from Space Race Atom-Age exploration of Manifest Destiny to Space Opera over the decades as reader tastes and expectations changed. Space Conquerors was usually credited to Al Stenzel with art duties being typically uncredited. The artists varied over the years and it would take someone with greater familiarity with the illustrators of the era than I to identify them. 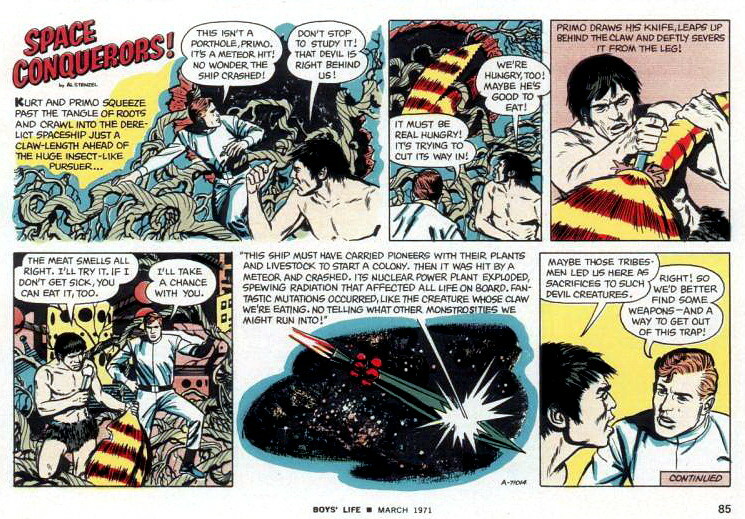 I read with fascination this strip in the 1970s and I had a subscription to Boy’s Life just for this version of the Space Conquerors. For some reason this chapter really stuck in my memory. It doesn’t have much action but I think the willingness of Primo to eat the local fare first to test it for safety and Kurt’s refusal to have his friend take the risk alone stuck with me.